Europon Livestock UK is very proud of the tremendous experience and variety of contacts that they can bring together. As a result, we can confidently offer our clients the best genetics at the most competitive prices for most breeds of cattle from many different countries, not only Europe but worldwide too. The Holstein is the most dominant dairy breed in our country. This does not,however,mean that every farmer will find that this breed suits them, their farm or farming system. We totally understand this, so offer you the opportunity to buy cattle from a wide variety of breeds and will further select from within that breed for specific traits that you are looking for. 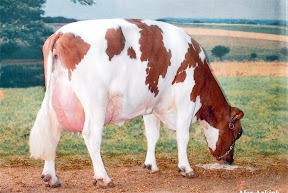 Holstein:The Holstein breed originates from North America. The roots are Friesian cows imported from Holland and the northern part of Germany during the 1880’s. 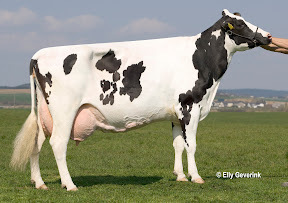 After arrival in the USA they were strongly selected solely for high milk production giving rise to the differences that developed from the European Friesian cows that were selected for their Dual-purpose traits of milk and beef.The Holstein is now the world’s most dominant dairy breed. There is still quite a variation in the type of cow within the breed. For many years ,genetic selection concentrated on production. More recently,selection has has focused on female fertility and health traits and rather less on just production. Friesian:This breed is the original gene pool for most dairy cows. It originates from Holland and the North-west corner of Germany. It is a dual-purpose breed with the main emphasis on milk production. Its main attraction is the robustness and fertility of the cows, good milk production, easy management and the end value of the cows and calves.There is quite a large population of Friesian cows in Ireland and we can source your requirements from there. Jerseys:A highly productive and efficient dairy breed ,originating from the Island of Jersey, but now with large breeding populations worldwide. The most productive Jerseys are now in the USA and Denmark. The Danish Jersey herds are supported by a very good breeding programme .Europon Livestock UK has a lot of experience in supplying Danish Jerseys to UK customers. 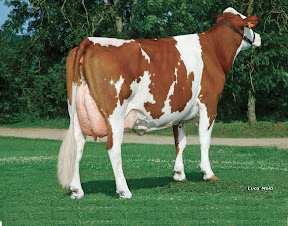 Montbeliarde:This breed of dual purpose dairy cows originates from the east of France at the foot of the Alps. They are from the same breed of cattle as the Fleckvieh and Simmental of Germany and Austria. The cows have improved tremendously over the last 20 years and they are now milked worldwide.They are hardy, quite large cows with good production and valuable calves.We import pure-bred animals from France and Holland and also crossbreeds mainly from Holland. They are ideal for organic milk production. MRI /Rotbunt:This is a dual-purpose red breed from Holland and Northern Germany that are very functional and hardy with average production. They have high protein, excellent fertility and good beef value.We have excellent contacts in Holland and Germany to source some of the best cattle in this breed for you. Brown Swiss:Over the last 120 years ,this breed has followed a similar path to the Holsteins. 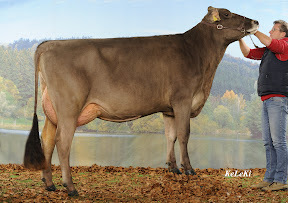 During the 19th century, Brown Swiss were imported into the USA from Switzerland, Germany and Austria. There, they were heavily selected for production and dairy type. So the original European populations have now been using American genetics over the last years to improve conformation and production.We can now source Brown Swiss cattle from several countries in Europe such as Germany, Holland and Austria. As well as the breeds already mentioned, we can supply you with Angler, Fleckvieh, Normandy etc. There is a demand in the UK for certified, organic dairy cattle. Through our excellent contacts in countries such as Germany, Holland and Denmark, we are able to supply you with high quality dairy stock for your organic farming enterprise. 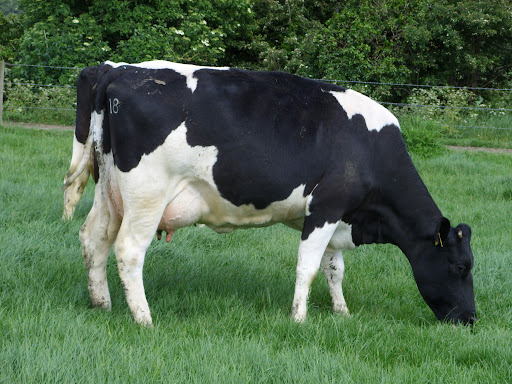 The main breed available is the Holstein but we also regularly supply cross bred dairy animals. These will all be delivered with an official certificate, showing that they are born and reared on a certified, organic farm. The cattle are mostly bred from bulls that are known for their low cell count, high longevity and fertility traits. Prices are normally somewhat higher than standard cattle because of increased rearing and veterinary costs. If you require cattle, we will do our best to find them for you.